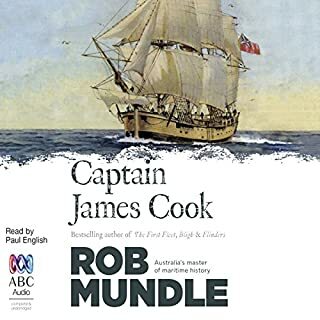 For many, the colonial story of Australia starts with Captain Cook's discovery of the east coast in 1770, but it was some 164 years before his historic voyage that European mariners began their romance with the immensity of the Australian continent. Between 1606 and 1688, while the British had their hands full with the Gunpowder Plot and the English Civil War, it was highly skilled Dutch seafarers who discovered and mapped the majority of the vast, unknown waters and land masses in the Indian and Southern Oceans. 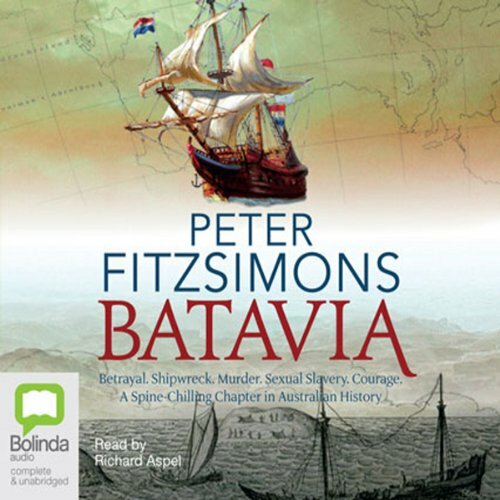 The story begins in 1629, when the pride of the Dutch East India Company, the Batavia, is on its maiden voyage en route from Amsterdam to the Dutch East Indies, laden down with the greatest treasure to leave Holland. The magnificent ship is already boiling over with a mutinous plot that is just about to break into the open when, just off the coast of Western Australia, it strikes an unseen reef in the middle of the night. While Commandeur Francisco Pelsaert decides to take the longboat across 2,000 miles of open sea for help, his second-in-command Jeronimus Cornelisz takes over, quickly deciding that 250 people on a small island is unwieldy for the small number of supplies they have. This is an incredible story, and a little piece of history that reads exactly as a high drama, thriller fiction. While there are moments when the telling of the particulars is a little repetetive, and the dramatic narrating style is a little overbearing in parts, but nevertheless, it's a story worth hearing. an amazing story and as always it is tolf in a very entertaining style by PF. What a story and how well written. I was so addicted that I was walking around with my earplugs in for 5 days barely speaking to anyone at home !! If you could sum up Batavia in three words, what would they be? I can't rate this highly enough. If i could give this 10 stars I'd still feel unsatisfied. Amazingly, few people have heard of this tragic and gruesome story. Well researched and well written, although I hated the way the author threw in the odd Dutch word. My advice is to skip the introduction as it goes on forever. Looking forward to listening to Masson. Great dramatization of the events surrounding the shipwreck of the Batavia. Particularly apt in today's geo-political times where we see the power which individuals can wield to corrupt Otherwise good men. brillant listen so interesting and informative . Brilliant and unbelievable this can happen! Couldn't stop listening! I want to go to the Abrolhos to see this now! What did you love best about Batavia? It was unbelievable! However it was true! This story just proves that fact is stranger than fiction. The Dutch soldier who rescued many of the passengers and crew from the depravity of Jeronemus and the mutineers. The description of the executions of the mutineers including the summing up in the epilogue. Justice was crude and rough in the 17th century! I was amazed by the events that took place. After being recommended this book by my father-in-law, I was intrigued to hear this stunning tale of disaster. 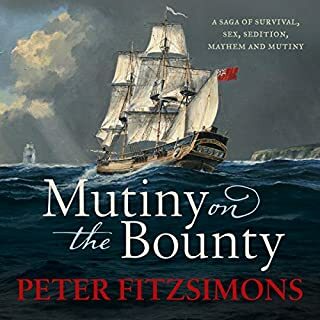 Peter Fitzsimons has crafted a terrific retelling of the ill-fated voyage of the Dutch East India Company's flagship vessel. 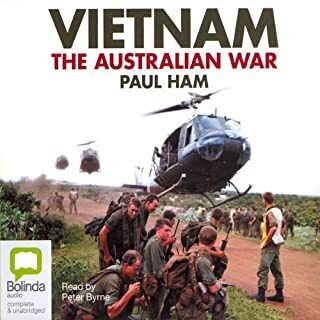 Eloquently narrated by Aspel, the story seems so fantastic that one cannot deny that truth IS stranger than fiction. 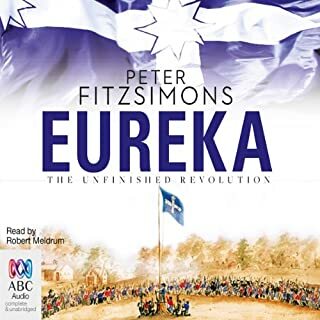 From the telling of the VOC's founding, to the Batavia's journey and subsequent shipwrecking on the Abrolhos Islands, to the murderous tyrannical short-lived island regime of Jeronimus Cornelisz, this tale is both amazing and horrifying. Every Australian should read of this disaster that took place off the coast of Western Australia. It paints a chilling portrait of just how far power can corrupt those who have naught to fear from the outside world. Murderous executions, sexual slavery, survival and heroism: these are all present in this adventure that many have forgotten or are not even aware of. 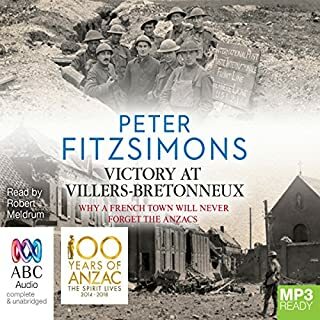 Although told in present tense and actual dialogue spoken could be contested, Fitzsimons states this at the beginning of the book. It makes for a vivid story that places the reader there at every chilling moment. This story once underway is amazing, edge of your seat, can't stop listening stuff. What makes it so riveting is that it is a true story that could be a horror movie in the Hostel series but set in the 1600's. 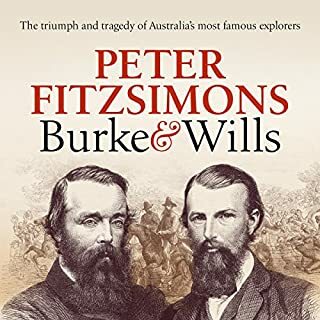 Peter FitzSimons has filled the gaps in the historical accounts of the Batavia shipwreck in a way that is seamless to the reader / listener and that shows respect to the people who suffered in this tragedy. As he says in the forward he completed a 1000 piece jigsaw with only 500 pieces available to him and made the picture look real. I am a lover of fiction usually. 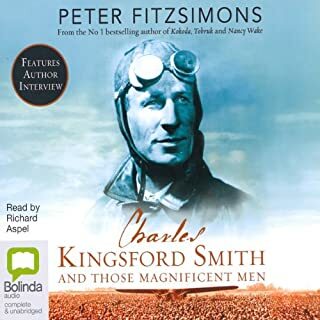 My dad encouraged me to read this and fortunatly it was in the Audible book store. I am very glad I listened to dad (and the book) on this occasion. It is a part of Australian history that I was ignorant to, even though I have seen the replica of the ship. Presented the way it has been in this story, the history and the horror has been brought to life in a way that is interesting and dare I say, given the nature of the tale, enjoyable. Though if you read this, joy is not an emotion that you will feel, rather horror to read what desperate men can stoop to in the absence of law. 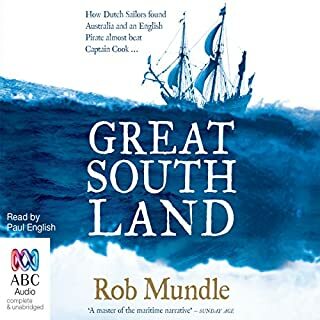 The build up and character backgrounds make it start a little slow, but you do need this, so hang in there and discover the history of the Dutch East India company, the spice trade and the Batavia. Yes, One of the best stories I've ever heard. It's a true story that just keeps getting better through the listen. If you read, be sure to view the location on Google Earth. You can still see where the ship hit 400 years later. Great reader. Ability to pronounce Dutch terms and names added greatly to the listen. The treatment of the women. I highly recommend. If you like true adventure, this book has it all. I've read most, and this is the best. What was one of the most memorable moments of Batavia? 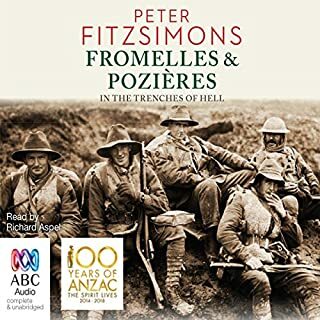 Not laugh or cry but the history, a history which even Mr. Fitzsimmons admits is a story very little known in Australia, but should be. 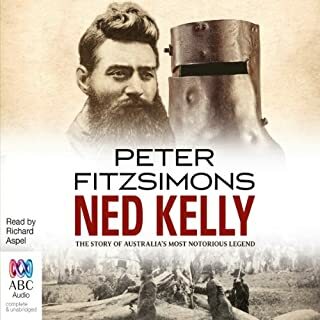 I heard Peter Fitzsimons on an interview about this book. I purchased it and heard it over a single weekend ! 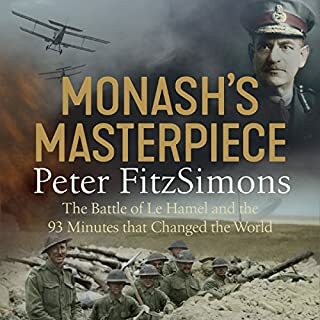 Even if you are not interested in this time in history you will absolutely love this book. I could not recommend this any more even if I tried. Peter has combined real events and his flare to bring together events that you would think were all fantasy or a Hollywood movie. Purchased this book and you will not regret it. Yes. A great story tinged with all the emotions. Highs and very lows and knowing that the events actually occurred give the story an added edge. Highly recommended. 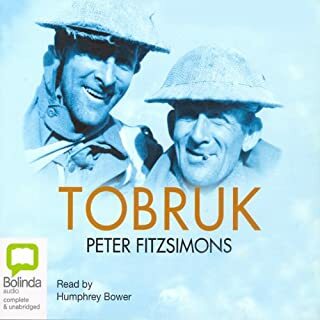 Apart from the historical significance and actually having visited the Abrolhos Islands more than once, the characters were brought to life by superb narration. I couldn't put it down. May have been a bit gruesome at times, but that didn't slow me down. Both the story and narration were the best. It was hard to believe that it was true. Riveted...about as insane a story as one can imagine. Try putting yourself there and wonder what you'd do! A mesmerizing tale of survival. 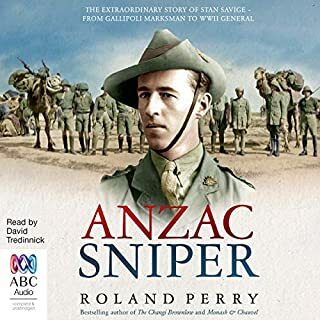 This is hands down the best narrated book I’ve listened to. Extremely entertaining! You won’t be disappointed. 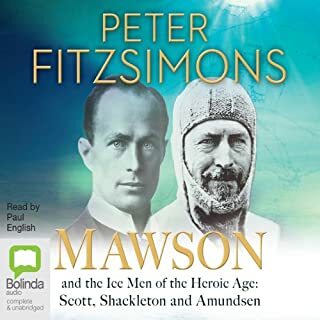 One of the best creative non-fiction stories I've listened to on Audible. 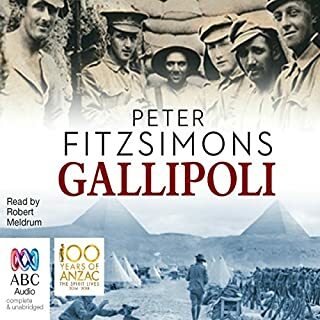 The writing could be a little better, but the story becomes so utterly compelling, that any criticism I have would ultimately feel unfair as I am very grateful and thankful to the author for bringing to life these incredible and haunting historical events. I found it a little slow until the shipwreck, but it turned out all the context given in those early chapters was absolutely necessary to understand the context of what happened next. 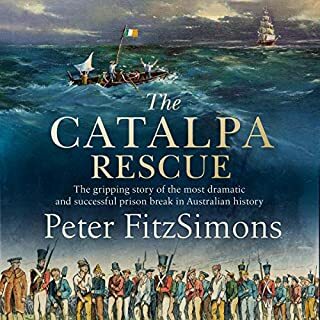 Imagine 350 people marooned in the early 1600's on a reef off an unexplored Western Australia, with no water, natural shelter or expectation that anyone would ever know that they were there. With very limited supplies recovered from the wreck and only a small yawl not designed for ocean going conditions that was able only to hold a seventh of their number, they were some 2000 km from the nearest friendly port which lay due north across treacherous seas. If things weren't bad enough, one of their leaders turned out to be a hedonistic and heretical psychopath. What happened in the ensuing months will shock you to your core, the story is absolutely gripping and takes many unexpected turns. I was completely enthralled. 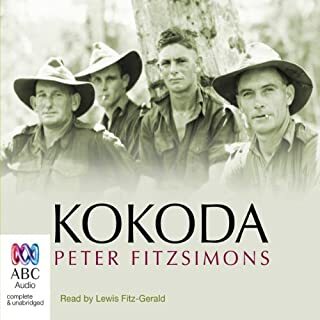 I finished the book last week and still feel deeply moved and affected by what happened all those years ago, I've just learned they are still turning up secrets that have lay hidden in the coral sands of that remote archipelago for some four hundred years. If this story was fiction, you probably wouldn't believe it.HIGHLY RECOMMENDED. 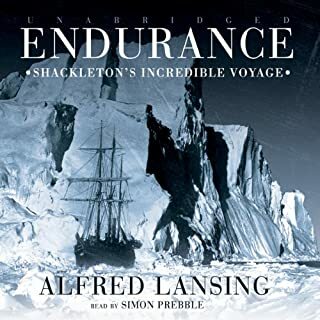 (If you are beguiled by shipwreck stories as I am, check out the audio book Endurance by Alfred Lansing, narrated by the incredible Simon Prebble). The best aspect is the historical nature of the story - it transports you back to a time of exploration when life was a lot harder and there were new lands to be discovered but it's also very gritty. The style of retelling a historical even as a novel is always (well maybe not always, but mostly) enjoyable. The least interesting is that it doesn't go quite far enough in the novel-isation of the story - it's a bit of a half-way house, not quite history, not quite story. The insistence of throwing in Dutch words when not necessary is a little annoying - it doesn't really add anything. Overall a great story but the retelling (both by the author and reader) are good but not great. Fantastic historical story, ruined by the author. The author tries to add drama through the characters dialogue, but ends up sounding fake and unbelievable. .